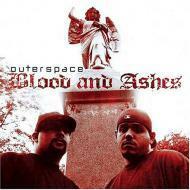 Outerspace is the brainchild of Philadelphia MC's Planetary and Crypt the Warchild. The philosophy of Outerspace runs much deeper than music; it's literally a family. The two founding members have been friends almost since birth and found a common bond in the music they grew up on such as Gangstarr and EPMD.